Also referred to as Middle Eastern, Arabic and Oriental dance, belly dancing is an ancient and expressive form of movement that is performed during celebrations and rituals . These days, despite it being stereotyped as a form of sensual entertainment, many women are learning this dance art because of its fitness and health benefits. Seeing superstars such as Shakira and Beyonce perform belly dancing moves on stage also played a big impact on the popularity of this fitness trend. 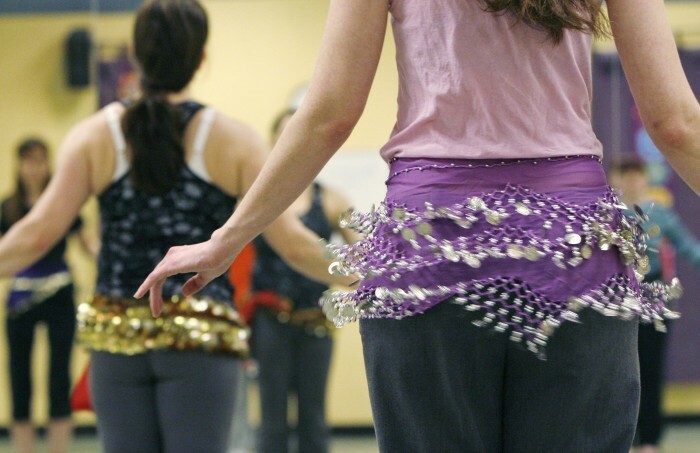 Don’t expect a six-pack with just belly dancing. What you’ll get are strong abs and a better posture . Moving your hips in a figure eight shape is one of the basic moves of belly dancing and it’s a great move to tone and shape the muscle around your hips . Your hips won’t lie about this! Belly dancing teaches you how to move parts of your body in isolation. 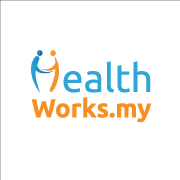 It forces you to concentrate on specific parts of your body while performing other moves at the same time . For example, moving your chest in a circle without moving your lower body. You’ll be doing some cardio as you move faster to the beat of the music. As you dance longer, your body will release some endorphins which will help reduce stress and even boost your self-esteem ! You’ll get to meet many people from different walks of life in the class too which makes it more fun as you learn to shake your body together! Belly dancing helps you to be more comfortable with your body. It doesn’t matter what size you are, belly dancing is for everybody! You’ll learn to move parts of your body that you never really pay much attention to in a more feminine way. According to researchers from Flinder University, Australia, belly dancers tend to focus less on their external appearance and more on their experience and what they can do with their bodies . This proves that this dance form actually helps women take ownership of their own bodies ! The belly dancing moves especially at your hip and lower belly area are actually helping your body to prepare itself for your oncoming PMS cramps . Take it as an internal massage for your belly! It helps to stimulate and ease the congestion of your pelvic area ! 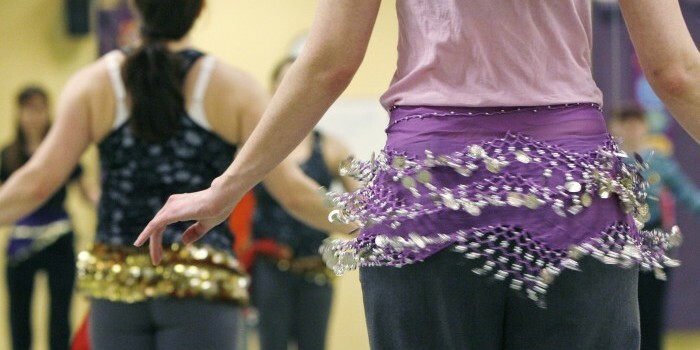 Have you tried belly dancing before? Tell us why you love it in the comments below or share them on our Facebook page!